Black soil flats rising to moderately sloped cultivation, this rises further to steeper cultivation and grass country extending up to a high plateau. Land: Total area of 228 ha comprising some 80 ha of rich black alluvial clay, 90 ha of sloping arable soils derived from Walloon coal measures, and 60 ha of non-arable timbered slopes of basalt derivation. Hermitage Research Facility is located on the northern bank of Swan Creek, a tributary of the Condamine River, just west of the Dividing Range and on the eastern edge of the Darling Downs. Hermitage Research Facility is a major centre for plant breeding and agronomic studies on agricultural crops grown in Queensland and northern New South Wales. Total area of 230 ha comprising some 80 ha of rich black alluvial clay, 90 ha of sloping arable soils derived from Walloon coal measures, and 60 ha of non-arable timbered slopes of basalt derivation. Water supply comprises three bores, a 22Ml catchment dam, and a 20 Ml weir on Swan Creek with a reticulation system to deliver irrigation water from the dam or weir to the experimental areas. The site has built facilities including an administration office with accommodation for 55 staff, conference and meeting rooms, biotechnology laboratory, controlled environment plant growth rooms, glasshouses, cold storage rooms, insulated cool seed stores, automatic rainout shelters, drying ovens, gas fired drying barn, and seed store with range of threshing, grading, and grinding equipment. General storage and machinery sheds and purpose built mechanical workshop and chemical store. The site has a wide range of plant and equipment including tractors, tilt tray trucks, small plot harvesters sprayers and cultivators required to support research and grow a broad range of agricultural crops. Laboratories, specific to plant breeding, molecular breeding & plant pathology. Cattle Yards, with loading ramp, small holding yards & crush. Conference room will seat 50 & meeting room will seat 10 people. Pumping and irrigation. A network of 100mm underground pipelines & hydrants. Various planters to cover a wide range of field crops with adjustable plot lengths & row widths. One has GPS tripping. Fertiliser applicators to suit a variety of applications. 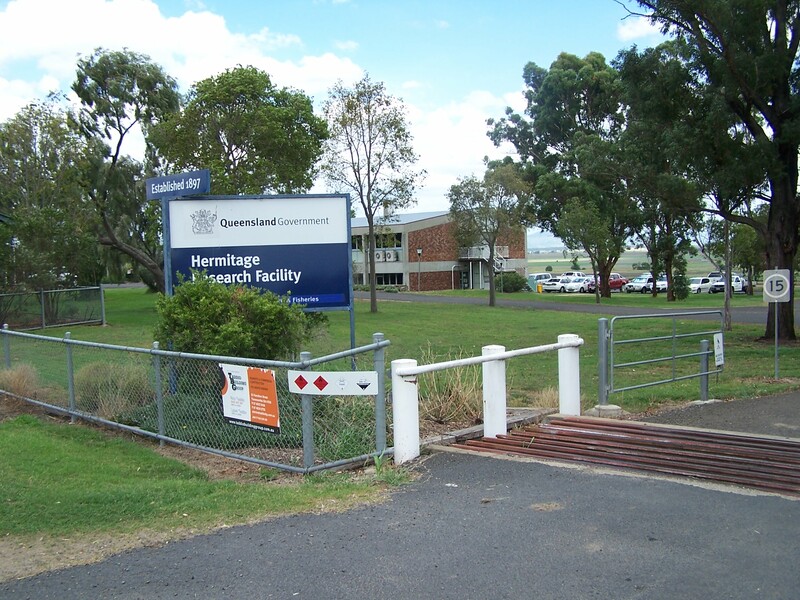 Hermitage Research Facility is the Queensland and Northern NSW centre for Plant Breeding and Crop Research. This site is very relevant to projects researching crops grown locally, climate and soils are important. Having glass house facilities to conduct specialist plant breeding work is important. Some projects require large teams of staff to conduct research this would be difficult off station or at other sites. 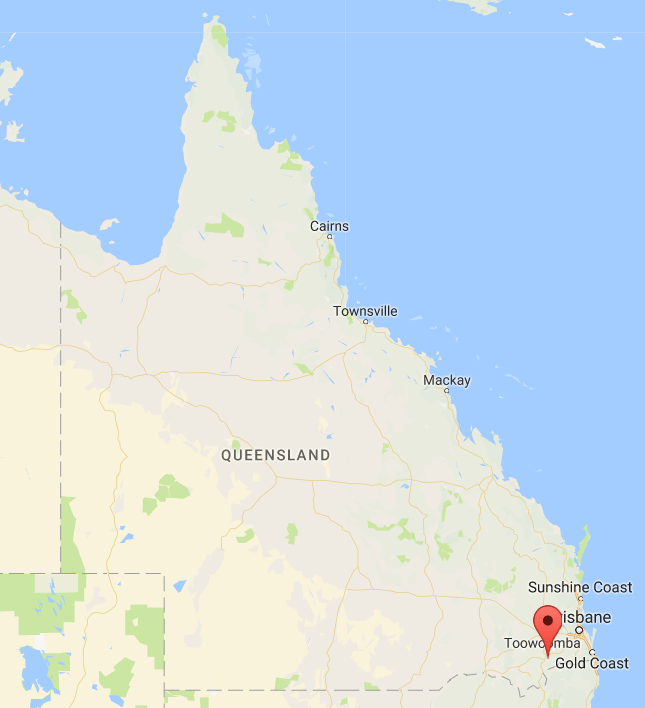 External clients are using this facility to test plant germplasm as the location is similar to the larger scale cropping areas in South Queensland. The specialised Drought Research Facility here is unique to enable detailed research on crop drought tolerance. Specialist plant biotech laboratory working closely with plant breeding teams linking with field research is unique. Some research cannot be conducted off-station, facilities such as workshops and specialised equipment would be too costly and inefficient to transport. Hermitage Research Station is the oldest agricultural research station in Queensland, commencing operations in March 1897. At this time the large freehold estates on the Downs were being sub-divided for closer settlement. The Research Station, then known as the “Hermitage State Farm”, was established to provide information for settlers on these new sub-divisions, and was first managed by Mr C. Ross. The property, originally part of the Canning Downs Station, was purchased by the Queensland Government from the estate of the Honourable J.D. Macansh, MLC, for ₤1000. During this early period, experimental work was conducted on a wide range of crops, and a selection of fruit trees was tested in the station orchard. A number of the original olive trees still remain today. A choice Spanish-Merino stud flock was maintained for a few years and lamb raising was examined in conjunction with cereal cropping to determine the most suitable classes of sheep and lambs for the Darling Downs. Improving cereals by selecting those best adapted to local conditions was a major activity in the latter part of these early years. A farm apprenticeship-training scheme began at Hermitage around 1910 with the aims of providing practical training for young men intending to farm the area or enter Gatton College. This scheme was terminated in 1916, and Government funding for the station declined. The Director of Agriculture at the time, Mr H.C. Quodling, reported that “as a Government Institution the Farm would appear to have outlived its usefulness and the farming community have lost interest in the place”, and consequently recommended its closure and sale. However, the State Farm at Hermitage continued to operate on a reduced budget until 1925, when Mr Quodling reported that “there appears to be little hope of placing this Farm on a profit-earning basis”, and again suggested closure of the farm at the end of the 1924/25 financial year. The Director documented that total expenditure on the Farm between 1896 and 1924 had been ₤43900 compared with total revenue of ₤11980. The benefit-cost analysis was not looking good! Despite efforts to close Hermitage in 1925, limited experimental work, in particular the selection of well-adapted cereals for the Downs, continued until 1930. At this point experimental work was suspended and the State Farm was leased out for commercial use during the depression and Second World War years. In 1946 the commercial lease was terminated and Hermitage State Farm resumed operations as a Regional Experiment Station, with wheat breeding as a major activity. Wheat breeding in Queensland was initiated at Roma by R.E. Soutter before 1900. Soutter’s work contributed significantly to the industry and, on his retirement in 1948, cereal breeding was transferred to the recently re-opened Experiment Station at Hermitage led by David Rosser who remained as Principal Plant Breeder and Officer-In-Charge until 1984. The wheat variety Spica was released from Hermitage in 1952. In 1954 Spica was sown on 120,000 acres, and ten years later it was the State’s leading variety. In the immediate post-war years, considerable attention was given to solving the soil erosion problems on the station that had resulted from overgrazing during the lease period. This provided an ideal opportunity to test and demonstrate a range of erosion control measures on the Experiment Station. To complement wheat breeding at Hermitage, Jack Littler and John Marley studied fallow management for winter cereals. A long-term fallow management trial began in 1968 to monitor the effects of various surface treatments. This trial has been ongoing for 35 years and is now one of the longest running agricultural experiments in Australia. In recognition of this research, the 1992 National BHP Landcare Research Award was presented to Dr John Thompson (Queensland Wheat Research Institute) on behalf of the Hermitage Fallow Management Group by the Prime Minister of Australia. Plant breeding and agronomy have been major components of the research program at Hermitage since World War II. Wheat breeding began in 1948 under the direction of David Rosser and sorghum breeding was initiated by Ron Moore in 1958. Also at this time Bob Bygott was conducting initial research into cotton production on the Darling Downs. Dr Paul Johnston began linseed breeding in the 1960s before commencing a barley-breeding program in 1972. In the same year, Dr Bob Henzell came to Hermitage to lead the sorghum breeding team. Soybean breeding began in 1970 under Dr John Rose, and Dr Doug George commenced a sunflower breeding program soon after. Navybean breeding began in the 1980s under the leadership of Dr Bob Redden. Mr Bob Amos commenced as Station Manager in 1968. Assessment of potential new crops for the region has been an important role for Hermitage Research Station. Pumpkins, sesame, guar, lupin, buckwheat, pigeonpea, fenugreek, grain amaranth, chickpea, mungbean and cowpea were all tested by Bob Brinsmead in his new crops program.